Celine’s Jewelry Box Cash 4 Gold address, phone, website, hours of operation, and more. 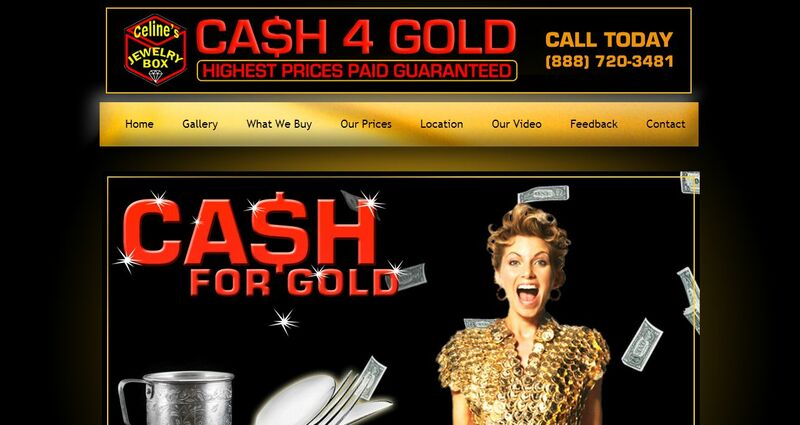 Celine’s Jewelry Box Cash 4 Gold is the place to sell your gold for cash! We buy gold jewelry, diamonds, watches, gold bullion, and just about anything made with gold, silver, platinum, or other precious metals. When you sell gold jewelry with us, you can sell with confidence that you’re getting the most money possible. We also offer free appraisals to locals looking to find out what their gold, silver or jewelry items are really worth if they were to sell.